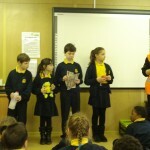 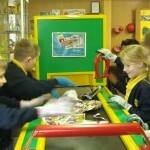 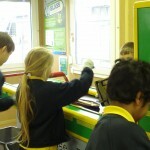 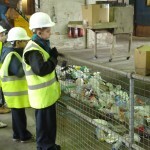 Every year, year 4 pupils at Delapre learn about recycling and waste through their humanities topic. 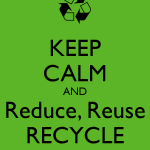 They are experts in how to ‘reduce, reuse and recycle”. 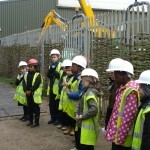 As part of their topic, pupils visit a local recycling centre to see how waste is recycled on its arrival from residential areas. 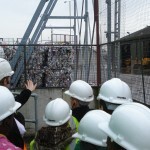 They take a tour around the premises to see how various items are recycled (clothing, electrical goods, paper, metal, plastic), talk with recycling staff and even have a go at sorting items themselves. 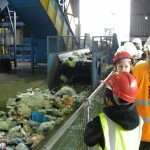 To find out more about how Northampton Borough Council recycles, visit their website. 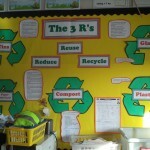 The Phoenix Resource Centre in Raunds is an Environmental Charity, which aims to ‘recycle, reuse and reduce’ by selling on brand new items donated by local businesses to schools etc at a fraction of retail prices. 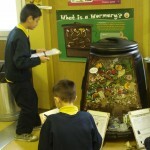 This charity supports the national Eco Schools initiative. 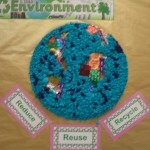 There are more than 200 different items available (approx 99% new and unused) including Books, Paper, Card, Plastic, Fabric, Buttons, Ribbon, Elastic, Toys, Jewellery, MDF and a whole host of other resources, different items come in daily.